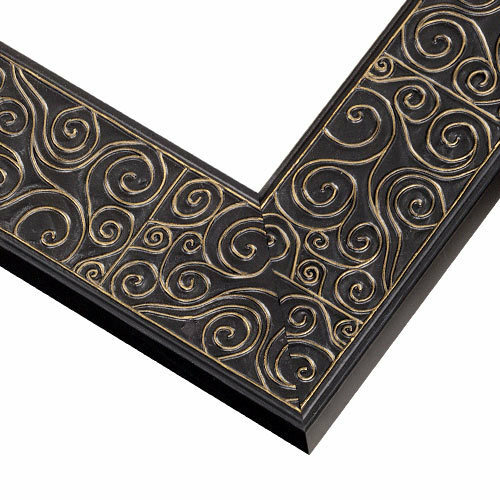 A custom wood frame with a dark side, featuring soft gold swirls over a bewitching black finish. This whimsical wood frame is both modern and alluring – the perfect addition to your eclectic décor, from ethereal wedding photography to pen & ink drawings. This frame also makes a great mirror and fits 5/8” canvas. bedroom motive and it was in offer! Looks like a Guardian from Breath of the Wild.